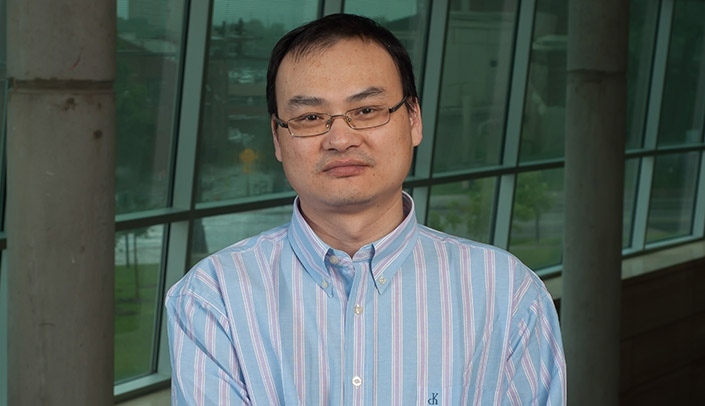 New investigator: Minglei Guo, Ph.D. This profile is part of a series to highlight the researchers who will be honored at a ceremony for UNMC's 2018 Scientist Laureate, Research Leadership, Distinguished Scientist and New Investigator Award recipients. The goal of my research is: To explore the detailed molecular mechanisms responsible for cocaine-mediated microglial activation and the potential role of microglia in the development of drug addiction. The best advice I've ever been given is: To make your research focused and persistent. Sometimes I enjoy being alone. I like to watch sci-fi movies. I like to read history books.